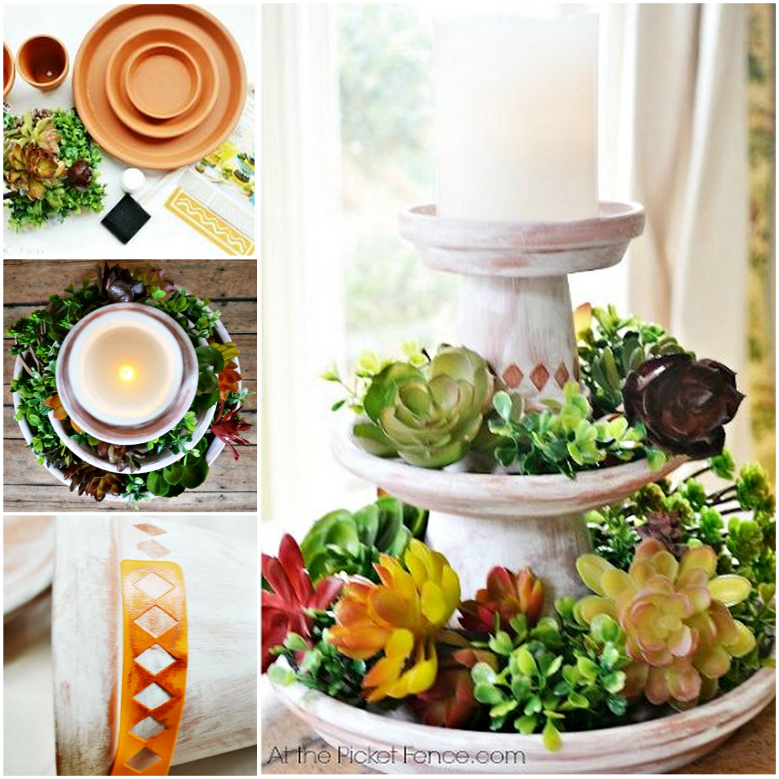 Here is a beautiful idea of making tiered centerpiece using items you will find at the dollar store. This stand has been cleverly made utilizing clay pots and plates. It’s perfect for succulents as they don’t need much soil or water. And remember the hanging vases wrapped with fabric? We may wrap the pot with fabric, too. It would be more special, agree? This could also be great for cupcakes or any other displays. It looks absolutely gorgeous and is very easy to make. Get the details now from At the Picket Fence.